Kumbh Mela, a congregation of millions of Hindu pilgrims, who gather to take a dip in the holy river of Ganges to be freed from the vicious earthly cycle of life and death. Freedom from all sins is the promise that attracts the mass to the magnificent event of Kumbh Mela. People from the length and breadth of India flock to the event. The make shift stay at Kumbh Mela ground becomes a photographer’s paradise. The Naga Sadhus, coming down from the Himalayas to take the dip, are one of the prime point of focus in Kumbh Mela. 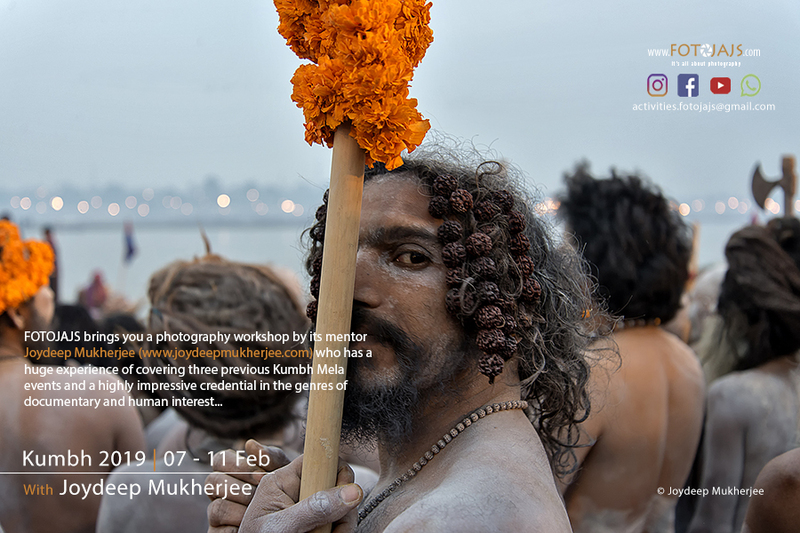 FOTOJAJS brings you a photography workshop by its mentor Joydeep Mukherjee (www.joydeepmukherjee.com) who has a huge experience of covering three previous Kumbh Mela events and a highly impressive credential in the genres of documentary and human interest.